Graphic from the New York Times. Citing the most recent findings from research begun back in 1980 that shows a widening mortality gap between rich and poor, the Bush Administration will formally announce tomorrow morning a bold new initiative to close the mortality gap and to mandate world class standards for American life expectancy and infant mortalilty. By 2020, the new program calls for the mortality gap to be closed and for 100% of citizens to attain the American median life span. The President remarked, "If the American people are going to compete in the world economy, our citizens can't be getting sick and dying on us. American business will need healthy workers if the American economy is going to be continue to dominate--but dominate, you know, in a good way." In order to carry out this sweeping new policy initiative, the National Institutes of Health and the Centers for Disease Control will mandate annual testing of all citizens who receive their health care from public health clinics. Each state will be charged with setting testing standards and targets to assure that all citizens will be healthy by 2020. If any group of citizens in a community falls below the annual health targets established by the state, stiff sanctions will be imposed on the local public health clinics and the health care workers. If mortality rates are not raised to the targets in subsequent years, the local public health clinic employees will be fired, and private corporate MMOs (Mortality Management Organizations) will be hired by states to manage public health clinics. Another health care choice option: Poor citizens with failing health will be offered a publicly-funded health voucher to pay for health care from a private clinic, which will not be required to do the annual health testing. When asked how citizens will know if their health is improving or if the mortality gap is closing if the private clinics collect no data, the soon-to-be named head of NIH, Dr. Reid Lyon responded, "The market will decide which clinics are doing the best job, and if a few people die along the way, that is a small price to pay for a 100% at full life expectancy." When it was pointed out to Dr. Reid that the health vouchers will not provide enough money for working class citizens to receive care from the best private health providers, Lyon assured reporters that the free market will take care of these discrepancies. When the President was asked how life expectancy and infant mortality in poor, minority communities could be improved simply by raising mortality targets on annual health screenings, the President angrily responded by saying that "minority folks can live as long as other regular folks if they are expected to be healthy and if public health clinics are held accountable, and anyone who disagrees with that simple fact is showin' the bigotry of low life expectancies." The NLCLB Program will be formally announced at the Waffle House near Crawford, Texas tomorrow, April 1. Soon after the Supreme Court settled the Presidential election for us in late 2000, the phonics zealots of Governor Bush’s reading czar, Reid Lyon, along with the scripted direct instruction (DI) lieutenants of Sig Engelmann disciple, Doug Carnine, took an ideologically-corrupted National Reading Panel report to devise a federal program for early reading instruction and intervention, aimed at molding and controlling the neurological development and behaviors of the children of the poor. (See examples here and ask yourself if middle class parents would ever allow their children to attend one of these incarceration centers called Title I schools). This program would become Reading First, the centerpiece of the new Title I under what we now fondly refer to as NCLB. And with the same conservative cronies who drafted the program in charge of selecting recipients of the $1,000,000,000 a year in federal reading grants to the states, it didn’t take long for word to get out on which literacy approaches that the Paige/Spellings shop would fund and which they would not. The full extent of the corruption remains unknown, but Congressional testimony and ED’s own Inspector General uncovered enough to show why DI, DIBELS, and phonics now rule in schools with large numbers of poor children. It also offers enough details to see how corporate and academic and bureaucratic insiders got fabulously wealthy in the process. Last year Congress acted to slash funding of the Cronies, er, Reading First program. So now while we wait to see if the Inspector General’s referral to the Justice Department will lead to a criminal investigation and/or indictments, Margaret Spellings is making the rounds advising cash-starved state departments of education on how to re-direct federal funds to make sure that the gravy train doesn’t get derailed and to make sure that the “cognitive decapitation” (Kozol’s term) of poor, minority children continues unabated. In the meantime, many states are stuck with the parrot reading programs approved by the Lyon-Carnine Cabal, such as McGraw-Hill’s Open Court (or as reading teachers refer to it, Open Cult). And what about the balanced, humane, and marginalized programs like Reading Recovery, which was systematically excluded by the goon squad of Reading First Director, Chris Doherty? 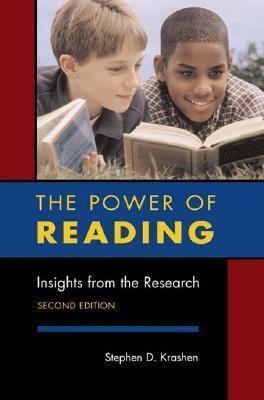 In the Fed’s own research last year, reported by Education Week, Reading Recovery was the only program "found to have positive effects or potentially positive effects across all four of the domains in the review—alphabetics, fluency, comprehension, and general reading achievement:"
. . . .That program, Reading Recovery, an intensive, one-on-one tutoring program, has drawn criticism over the past few years from prominent researchers and federal officials who claimed it was not scientifically based. 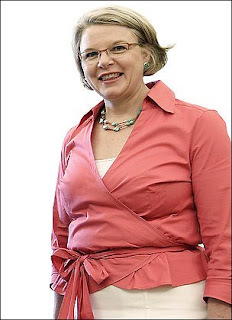 Federal officials and contractors tried to discourage states and districts from using Reading Recovery in schools participating in the federal Reading First program, citing a lack of evidence that it helps struggling readers. . . .
Is Margaret Spellings advocating for a reconsideration of all Reading First grant funding decisions in light of these new findings? Any guesses? Again this year, the taxpayers of Colorado will spend millions on standardized tests to over comply with the underfunded federal mandate of No Child Left Behind. More than $20 million will be spent on CSAPs this year, with only a fraction of the dollars coming from the feds. That doesn’t count for the tens of thousands of local dollars each school district spends for student- preparation materials, data compilation, lost instruction time and state reporting. The estimated cost of CSAPs to Colorado taxpayers is well more than $50 million. And yes, we over comply with the federal mandate. Colorado is one of only 14 states that exceed federal requirements. Under the NCLB law, each state must test students annually in grades three through eight and once in high school in reading, math and science. In Colorado, we test three times in high school and tack on an additional writing test. What are we getting for those extra tests? What is our bang for our CSAP buck? Here are some results: When President Bush signed No Child Left Behind into law in 2001 and high-stakes testing began, Colorado’s dropout rate was 2.6 percent across all ethnic and racial groups. Today, our dropout rate has increased to more than 4.5 percent. Graduation rates have dipped from 82 percent in 2002 to 74 percent in 2006. For minorities, the numbers are even more distressing. Graduation rates among Hispanics dropped 9 percent, to 56.6 percent. For African- Americans, the graduation rate plunged from 74 percent to 63 percent in 2006. In just four years, the achievement gap between whites and minorities has widened. CSAP scores have changed very little from year to year. Last year’s test results indicate 70 percent of students who scored unsatisfactorily three years ago remain unsatisfactory today. High school scores can be described as unchanged. Forty percent of fifth- graders who scored “advanced” on CSAPs in third grade scored “proficient” this year. Are our smart third graders being “dumbed down” as they become fifth graders? One of the strongest correlations in this data-driven-assessment world we have created is that the higher the population of low-income students, the lower the CSAP scores. Eight of 10 students participating in the free or reduced-price lunch program are enrolled in the bottom 10 percent of schools in terms of performance. The higher the family income, the higher the test scores. Only five of 100 students participating in free or reduced-priced lunch program are enrolled in the top 10 percent of schools. This is not an excuse; it is a reality. Testing more does not change the results. Equal opportunities, fair funding and effective resources affect learning. Believing that high-stakes testing will improve learning is like taking the temperature of a sick child and expecting him to get well. Until we are willing to invest in the proven educational remedies, we can expect more of the same. Such things as small class sizes, quality teachers, vocational training and post-secondary opportunities, art, music, technology, before- and after-school programs, preschool, and full-day kindergarten all would be better uses of our money than excess testing. Authentic assessments, locally driven accountability, and teacher influence have positive impacts on learning. Dependence on one standardized test to measure, capture and quantify human learning is chasing false hope. Human potential can not be measured and trying to do so is a waste of money. Let’s stop wasteful spending and redirect resources to proven programs. State Rep. Judy Solano, D-Thornton, spent 29 years as a fifth-grade teacher. She is vice chair of the House Education Committee and the sponsor of two bills dealing with CSAP reform. So Klein is setting out to sell school achievement to schoolchildren—much in the same way that kids are sold soda, breakfast cereal or pop music. With the help of an as yet unnamed advertising agency, he's launching a slick multimedia campaign complete with celebrity pitchmen, viral marketing schemes, free videos and give-away prizes aimed at "rebranding" academics. Here's the plan: in January about 15,000 middle-schoolers from high-poverty neighborhoods will be given free cell phones. Through those phones kids will then receive taped—and perhaps even personal—messages from entertainment and sports celebrities reminding them to try their best in class. They'll be able to download "interviews" with well-to-do men and women who work as dentists, technicians, scientists and accountants and who will discuss the way they parlayed school success into financial security. Teachers will also use the phones to remind pupils about upcoming tests or an overdue homework assignment. When individuals or groups of kids improve their attendance, up their grades or display good citizenship in school, they'll be rewarded with free minutes on their phones and tickets to shows and sporting events. Kids who get phones will also be assigned mentors. Professor Khurana – a top neurosurgeon who has received 14 awards over the past 16 years, has published more than three dozen scientific papers – reviewed more than 100 studies on the effects of mobile phones. He has put the results on a brain surgery website, and a paper based on the research is currently being peer-reviewed for publication in a scientific journal. . . .
White Hat's Ohio Operations Rake In $84 Million Annually in "Non-Profit"
COLUMBUS: The Ohio Federation of Teachers has asked the Internal Revenue Service to examine the non-profit status of charter schools managed by White Hat Management, the company established by Akron entrepreneur David Brennan. The union, which has a long history of challenging Brennan's company, is asking the IRS to determine whether the schools under White Hat's umbrella can properly register as a 501(c)(3) tax-exempt firm. Lisa Zellner, an OFT spokeswoman, said the union does not expect an immediate answer, but a ruling against the White Hat charter schools would force the company to pay taxes ''like the rest of us,'' and possibly jeopardize their standing, because state law requires all charter schools to be nonprofit. Through Columbus-based public-relations firm Falhgren Mortine, White Hat issued a statement calling the OFT's accusations a publicity stunt that recycles points previously raised and addressed. ''The Internal Revenue Service is aware of the community school structure and White Hat Management's contract provisions making the management company responsible for all start-up and day-to-day operations of its contracted schools,'' the press release noted. The public-relations firm also stated that White Hat is a target for groups like the OFT that are seeking to promote their own interests. Brennan, a large contributor to Republican candidates, was instrumental in pushing then-Gov. George Voinovich and the Republican majorities in the Ohio House and Senate in the mid-90s to pass laws allowing charter schools to open in the state. White Hat currently operates 38 Life Skills schools geared toward high-school dropouts in Ohio, Colorado, Michigan and Florida. Initially, White Hat established Hope Academies for elementary students, but after opening 12 in Ohio, the company has been focused on Life Skills, which are considered to be more lucrative. OFT points out to the IRS that at least 25 charter schools operating under White Hat have qualified for tax-exempt status with the Ohio auditors' office. Zellner said a number of the schools have also applied for and received nonprofit status through the federal government. Don Mooney, an attorney representing OFT, wrote the IRS that documents indicate that the for-profit White Hat company controls the non-profit charter schools that pass through 95 percent of all their tax dollars to Brennan's firm, which amounts to about $84 million annually. . . .
Retreat from Collective Madness or the Restoration of Sanity? There's no doubt that the disgust arising from our Guantanamo Bay torture camps has peaked. This morning the papers report that all former and living American Secretaries of State have come out with a strong statement for ending this chapter of American shame.
. . . .Some play it as if they have lost all sense of proportion and common sense. The Texas Education Agency refused to grant a waiver from the state test for a young woman hospitalized after a serious automobile accident that killed her brother and left her memory impaired. Her school dispatched an assistant principal to administer the test in the hospital. Fortunately, one of the girl's teachers overheard what was up, got to the hospital first and told her to refuse to take it. In Colorado, a father, a teacher himself, sought to opt his daughter out of the state fifth grade test. Fine, said the superintendent, but she won't be promoted to sixth grade. In Washington, a willing testee who simply couldn't think of how to respond to a writing prompt was harangued by his teacher, then by his principal and then by his mother. Unable to respond, he was forbidden to attend a post-test party at which pancakes were served and the movie Lemony Snicket's A Series of Unfortunate Events shown. He was told he had ruined everything for everyone else at the school and suspended for a week. And some play it desperately. On March, 27, 2008, the Houston Chronicle reported that a middle school principal told a group of teachers that he would kill them and kill himself if the school's science scores did not improve. He was not, the teachers said, joking. "You don't know how ruthless I can be," he is alleged to have said. The incident is being investigated as a "terroristic threat." At this point we should be asking HAVE WE GONE COLLECTIVELY MAD? . . . .
Have we, indeed. Have we, in fact, managed to create our own unique brand of grade school interrogation camps in the nation's 90,000 public schools? Is there a thread that, indeed, runs all the way from Gitmo through our schools and into our large flat screen TVs, where we can't seem to get enough of the hellish incarcerated life celebrated on the Prison Channel, MSNBC, or even by National Geographic over in hi-def. So what to do? This week we saw three states, Minnesota, Arizona, and Virginia, trying to get Margaret Spellings' attention by threatening to forego federal aid to escape the NCLB madness. Minnesota faces giving up over $200 million, Arizona over $500 million, and Virginia over $600 million. That's serious disgruntlement. But do these states believe that this Administration cares whether or not they refuse Title I dollars intended for the poor? These are the same folks who have been trying to disband Title I for the past 40 years. They couldn't care less about these threatened refusals of tax revenues aimed to provide assistance to the poor. When you think about it, this approach makes little sense and has an entirely hollow ring to it. It would be the equivalent of France, Germany, and Spain threatening to withdraw from the UN because they disagreed with the Bush torture policy. Such empty threats might placate their enraged citizens, but it does nothing to change the policy. Leaving behind our own bit of domestic madness that threatens the future of the American democratic republic is not going to happen from threats to refuse Title I funds by state legislators looking for political cover. State legislatures, governors, mayors, and school boards will have to say, Enough. No Mas! We are not going to give up our Title I money! And we are not going to continue to torture! In effect, it is time to do away with this shameful policy of incarceration and surveillance training billed as education! Anne Arundel's Superintendent Dr. Kevin Maxwell asked if there would be any flexibility in requiring all students to reach the target goals of No Child Left Behind in 2014. Simon stressed that there was no flexibility on this issue. "The 2014 is nonnegotiable to us," Simon said. However you read this stubborn departure from reality and this pretense that the public does not recognize NCLB as the bare-knuckled failure expansion plan that it is, the dogged monitoring and draconian testing by all children, regardless of whether or not they can read the test, will remain the memorable aspect of this utterly calamitous and immoral education policy. Not so memorable will be ED's strategy to improve those thousands of schools that end up on the failed AYP lists. That is because there is none to speak of. A new GAO study shows, in fact, ED asleep at the wheel once more when it comes to monitoring the school improvement funding to schools not making AYP or in providing guidance or other assistance to schools. For instance, the What Works Clearinghouse that ED set up as a shell for federal assistance to failing schools is regarded by 19 states as "moderately to very helpful," while 22 states find it "some to no help." The report, titled “Education Actions Could Improve the Targeting of School Improvement Funds to Schools Most in Need of Assistance,” is available at this link or at http://www.gao.gov . . .
• Some states have not allocated or tracked their school improvement funds as required by the NCLBA, and the Department of Education has failed to monitor the lapses. For example, all states are required to keep a complete list of the schools that receive improvement funds; three states (Arkansas, Florida and North Carolina) could not provide any school-level data to the GAO, and California could provide only a partial list. The GAO also found that in a few cases, “non-Title I schools had inappropriately received Title I school improvement funds.” Though the Education Department is responsible for monitoring the allocation of improvement funds, it did not uncover those issues. • All states are also required to take certain factors into account when allocating school improvement funds, such as focusing on the lowest-achieving schools. However, three states (Delaware, New Hampshire and Virginia) and the District of Columbia reported that they required districts to provide each school an equal amount of funding, and thus, the GAO states, may not have prioritized the allocation of funds as required under NCLBA. Again, the Education Department failed to identify those issues during its State monitoring efforts. • The GAO also found that many states have not been able to set aside the full 4 percent of Title I funds for school improvement, as intended under NCLBA. Twenty-two states were unable to set aside the full 4 percent for at least one year, and six of these – Florida, Kansas, Kentucky, Maine, Massachusetts, and Michigan – were unable to do so for three or more years. These states were limited by a hold-harmless provision that prevents a state from reducing the Title I funding for any school district from the previous year. And here are some quotes from the GAO Report, itself, that show in spades the lax attitudes by ED toward improvement, as opposed to their rigid and hyper-vigilant oversight of testing requirements and failure production. While states are required to set aside 4 percent of Title I money for school improvement, the growing list of failing schools makes this impossible if other Title I schools that are not failing are to to continue to receive their funds that are guaranteed by a "hold-harmless" provision (to make sure these funds aren't siphoned off for other purposes). Sometimes, after taking into consideration the hold-harmless provision, there are not enough funds available from those districts with increasing Title I allocations to cover the full 4 percent set-aside. Specifically, 22 states have been unable to set aside the full portion of Title I funds for school improvement for 1 or more years since NCLBA was enacted because they did not have enough left over after satisfying the hold-harmless provision. While most states monitor funds, 4 states were unable to make publicly available the complete list of schools receiving improvement funds, as required under NCLBA, because these states do not collect information on each school receiving improvement funds, and Education has not provided guidance on this requirement.30 Almost all states were able to provide a list of schools receiving funds to us, but 3 states—Arkansas, Florida, and North Carolina—provided information on districts that received funds, but could not provide information on which schools received funds, and California provided a partial list of schools that received funds. In a few cases, we found that non-Title I schools had inappropriately received Title I school improvement funds. State officials said that they would take steps to address this issue, and we referred this matter to Education, which is following up on it. Though Education monitors the allocation of school improvement funds through its 3-year Title I monitoring cycle, Education officials told us they had not uncovered these issues. In addition, Education does not regularly check when and whether states have made the lists of schools receiving improvement funds publicly available, as required, and has not provided guidance on how states make lists of schools receiving improvement funds publicly available. So far ED's solution to this 4 percent funding problem is to do away with the "hold-harmless" provision, which would, in effect, allow states to take money from Title I schools that have miraculously managed to make AYP to pay the 4 percent to those that have not made AYP. It's the classic rob-Peter-to-pay-Paul solution. The House K-12 Finance Committee on Tuesday (March 25) voted to end Minnesota’s participation in the federal testing program, No Child Left Behind (NCLB). The committee on a bipartisan vote adopted an amendment by Rep. Pat Garofalo, R-Farmington, for the state to drop out of NCLB. “If it feels good, do it,” Garofalo urged committee members of voting for his amendment, several of whom expressing sourness over the mandated testing but also qualms about opting out. “I would say we are smart enough to run our schools,” Garofalo said. Opting out of NCLB could mean the loss of about $200 million in federal funding, he argued. But that’s not even covering the cost, Garofalo opined. The House K-12 Finance Committee on Tuesday (March 25) adopted an amendment offered by Rep. Pat Garofalo, R-Farmington, that directs the state commission of education to nullify the state's No New Child Left Behind plan with the federal government — to opt-out of the testing program. . . . . In her Op-Ed article, "Put teachers to the test," Camille Esch writes that "the old evaluation system that ignores student achievement and finds virtually all teachers 'satisfactory' simply sets the bar too low." Although I agree with her, and with all writers who feel that cynicism and ironclad backward thinking pervade public education, I also find that these essays, usually theoretical rather than practical, resonate with the same platitudes that have calcified the public school teaching profession. Evaluating teachers using punishing criteria helps no one. To evaluate teacher performance, one must examine what "standardized" tests really test and whether or not one should give them any credence. Unfortunately, standardized tests and teacher evaluations are constructed and conducted primarily by people who have opted out of classrooms. And because the only forward thinking in public school seems to occur in the alchemy between individual teachers and their students, our reliance on such instruments to determine student and teacher success truly baffles me. I have taught for 22 years, and though I have spent most of that time in the public school trenches, I have also taught in prestigious private schools in Los Angeles and at a local university in an effort to better my "practice." Yes, teaching, like medicine and the law, is a practice. 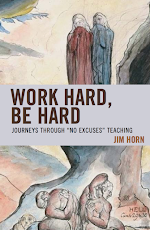 But unlike those practices, teachers remain isolated in their classrooms, and their habits and methods are rarely, if ever, intelligently examined or supported. There seems to be no time or desire for this kind of thoughtful work in public school, particularly when those in charge think that examining "data" should be the priority at all meetings. Recently at an English department meeting at Hamilton High School, where I serve as department chair, I was allowed to lead without a data screed in my hands. I asked my 30 colleagues to read a John Keats fragment and discuss how they would explicate it and how they would get their students to construct theses for the same exercise. Just add water -- or in this case, a genuine discussion of literature -- and watch English teachers come to life and find the motivation that makes their next step into the classroom a little happier. At this meeting, I aimed to ensure that my colleagues were respected for what they know and treated as though what they teach matters. Recently I ran into a good friend from the progressive private school where I had taught for a few years. He sent me their teacher self-evaluation form, which was divided into key criteria. Teachers must rate these elements by importance and discuss how well they are performing in these areas. For example, if a teacher thinks being current in one's field of expertise is most important but does not take classes or engage in learning more about the field in some way, he or she needs to find a way to bring balance into his or her teaching practice. Another novel concept: planning based on deep individual reflection. The evaluation form also asks teachers to evaluate their students' level of engagement, participation in active learning, and persistence. How would standardized tests translate these important measures of success? Unfortunately, when I brought up these ideas, some of my colleagues found them more humorous than useful. But how useful are standardized tests? The ones we administer to high school students are often written for eighth-graders (and some would say by eighth-graders). On these tests, students are asked to read mind-numbing, ersatz essays, letters and other "informational texts" and to assess them. The students' contempt for these tests is palpable and righteous, especially after reading Shakespeare Chaucer, and essays and poetry and plays written by other esteemed thinkers and writers. After testing, all my students -- no matter what level -- felt they learned things in my class that were not pertinent to the tests. Does this mean I did not prepare them? Even though they had read and written extensively about heroism as we evaluated it in "Beowulf" and in fiction they read outside of class? Even though they had read many recently published essays about race and gender as they relate to heroism, to say nothing of the current election? Even though they had written essays about the "exquisite suffering" evident in Petrarch's paradoxes? These are a few of the things all my students, honors and regular, do in my classes. Why is this not considered "proficiency"? On the most recent test, several students were appalled by a question that asked them to identify the literary device in the phrase "the frowning forest." The answer choices included "alliteration" and "personification." Because both are right, one has to wonder which answer would exhibit "proficiency." During another test, one student asked me how to bubble her answer since the choices were lettered (a), (b), (d), and (c). Then, when reading a piece about a village where everyone politely referred to an elderly man as Grandfather, my otherwise savvy urban students thought that he was really someone's grandfather and answered incorrectly what turned out to be a set of culturally biased questions. Blaming the tests, however, is not my goal, even though they are imperfect instruments and can't reveal proficiency proficiently. Instead, my goal is to suggest that teachers be evaluated thoughtfully and that those who say they value education figure out a way to provide opportunities to do this right. Teachers should be asked to consider how they value goals and how they would evaluate themselves using key criteria: Are they knowledgeable and current in their fields of expertise? Do they have high expectations of their students? Does the teacher build a classroom community and foster student dignity in the classroom? Is the teacher flexible and willing to reflect and make changes where necessary? There should be deep conversations about these goals and others, and teachers should be supported in their efforts to find balance in the chaos that is public school. Only when we truly respect the people to whom we give lip service by saying "you do the most important job there is," when we eradicate old ideas and their limits, and when we foster growth and exploration will teachers and their students approach the success everyone craves. If those in charge ran the system the way the best teachers run their classrooms.... I'll let you fill in the blank. Pamela Felcher chairs the English department at Los Angeles' Hamilton High School. Kids aren't the only ones who hate the WASL -- so do many teachers, and some are so fed up that they're taking on the state's top education official over her continued support for the test. Members of several local teachers unions will decide soon whether to issue votes of no confidence in state Superintendent of Public Instruction Terry Bergeson. Much of the discontent stems from Bergeson's unwavering support of the Washington Assessment of Student Learning, an annual statewide test used to gauge public school students' academic performance and to show progress toward meeting federal reading and math goals. The test always has been controversial, but opposition has reached a fever pitch as high school graduation approaches for the class of 2008. Those students are the first required to pass the reading, writing and math sections of the test, or an approved alternative, to earn a diploma. "Her over-the-edge commitment on this has really created a big problem," said Dan Wilson, president of the Edmonds Education Association. "She endlessly says what a fabulous test it is, and teachers are saying, 'No, it's not.' "
The Auburn, Bremerton, Edmonds, Seattle, Lake Washington and Lake Stevens teachers unions are among the affiliates considering votes of no confidence. The discussion is simmering at the local level for now, but it's likely a prelude to larger action that could occur when the statewide teachers union, the Washington Education Association, holds its annual meeting in May. "After 12 years, they've reached a point where the frustration level is high," WEA spokesman Rich Wood said. "The discontent is pretty widespread." Bergeson, a former teacher and counselor, is seeking re-election this fall to a fourth term as state superintendent, and losing the support of the state teachers union, a group she once headed, could be politically damaging. She wasn't available for comment Friday. . . . .
. . . . Even teachers in the Lake Washington district, where students generally perform well on the WASL, have problems with the test, said Kevin Teeley, the president of the local teachers union. "Teachers are really, really frustrated about the time it takes away from instruction," he said. Between test preparation and actual test-taking time, "it's easily a month of lost instruction." More importantly, he said, subjects that aren't tested on the WASL -- such as social studies -- tend to get pushed aside. . . .
Four in 10 Chinese complain about the yawning gap between large investments in education and its returns, a recent nationwide survey has showed. The Horizon Research Consultancy Group polled 3,355 residents aged 16 to 60 in both urban and rural areas, including seven metropolises such as Beijing and Shanghai. The survey found that only 16 percent of respondents believed their investments on education gave good returns. Those with higher education voiced greater disappointment at the quality of education received, the survey showed. "Even with a master's degree, I failed to find a decent position in big companies," Mao Xin, a 26-year-old Beijing resident, told China Daily yesterday. "My textbook knowledge gave no advantage whatsoever in the competition." Mao had to lower his expectations and work for a small private company, with wages similar to what undergraduates got. "I disappointed my parents, who gave me at least 30,000 yuan ($4,250) to attend a postgraduate management course in a key university for three years," Mao said. People in the rural areas generally gave more positive feedback on the quality of education than those from the cities, the survey found. "Our education has been focusing on an examination-oriented system," Huo Qingwen, the deputy director of language education testing service center under the Beijing Foreign Studies University, told China Daily yesterday. "The survey result doesn't surprise me, as I had heard complaints not only from the students, but also from the teachers who have been asked to focus more about the exam-passing rate," Huo said. The Ministry of Education has called on schools and universities to gradually phase out an exam-dominated education system, amid concerns that students pursue higher academic results rather than practical experience and competence. "The job market is still hungry for talented staff, but many graduates are not competent because the posts require more practical experience and creative ability of workers," Huo added. . . . . It seems odd to accuse the schools of anti-intellectualism when they are engaged in a relentless drive for higher test scores, and students are required to take more difficult academic courses. Passing rates on some state and local tests show small increases, but there has been little if any improvement on well-established national tests. The small gains we�ve seen may be the result of concentrated instruction on narrowly defined objectives. But we are not promoting intellectual habits of mind. Indeed, we may be reducing intellectual life to mental labor. What are the signs that this is happening? Instead of debating these questions, policymakers have mandated�in the name of equality�that all children, regardless of their talents and interests, should have the �opportunity� once reserved for relatively few. Hardworking teachers then must try to get unwilling, unprepared students through material they have no interest in learning. Many youngsters have alternative, genuine talents, but these are disregarded. To give such students a chance to pass the required courses, teachers concentrate on a few discrete skills that can be gained through a steady routine of drill. I�ve observed such classes. In some, no word problems or applications are even attempted. In a bow to analytic geometry, the distance formula is memorized, but with no mention of the Pythagorean theorem. In many geometry classes, no proofs at all are done. (Reducing the emphasis on proof is justified, but eliminating it entirely casts doubt on whether the course should be called geometry.) The end result is that many students have �algebra� and �geometry� on their transcripts, but they can�t pass state tests in math, and they need remedial courses in college. They have had pseudo-algebra and pseudo-geometry. This is pedagogical fraud, and such students are doubly cheated. They do poorly in the required courses, and they are deprived of courses in which they might have done well. I am not arguing that the traditional academic courses are properly �intellectual� and other courses are not. On the contrary, I believe that intellectually exciting topics and challenging problems can and should arise in all well-taught classes�in cooking, chemistry, photography, mechanics, and everything else the schools offer. My objection is to the virtual elimination of intellectual content in many of today�s academic courses. A second signal is that the overuse of specific learning objectives in all subjects works against the development of intellectual habits of mind. Superficially, it seems fair to tell students exactly what they must learn and be able to do as a result of instruction. This is instructionally sound when we are teaching a narrowly defined skill, but it is a poor way to encourage problem-solving, critical thinking, and the habits of mind that support further, deeper learning. Too often the result of such instruction is students who can add when told to add, or solve quadratic equations when told to �solve the following quadratic equations,� but cannot decide when to use these techniques in solving problems. In the interest of intellectual habits of mind, students must be asked to identify for themselves the important points in every unit of study, construct their own summaries, attempt problems that have no obvious solution, engage in interpretation, and evaluate conflicting explanations and points of view. Providing a complete structure of what is to be learned and a detailed list of outcomes expected of all students facilitates quick, shallow learning and swift forgetting. The little actually remembered is very like a collection of meaningless bits for Trivial Pursuit. Students come to expect that they should have answers at their fingertips instead of developing an attitude of inquiry�one of willingness to figure things out. The insistence on precisely stated learning objectives, moreover, also drastically reduces the number of classroom sessions designed to expose students to new, interesting ideas that may or may not result in specific learning. It is right to pay continuous, careful attention to whether students are learning certain specific material. But there should also be sessions devoted to intellectual �inputs��topics teachers choose to present or offer�leaving open what students might do as a result. Many intellectually exciting and socially significant lessons conducted by creative teachers are designed to induce awareness, not specific learning. It is a shame to sacrifice such sessions in our zeal to achieve a pre-specified learning objective for every lesson, every day. In addition to asking the question, Has Johnny learned X? we should also ask, What has Johnny learned? In a class of 25 students, we might get 25 different answers to this�some disheartening (from which we should learn), and some quite thrilling. Part of untold story of the success of the KIPPsters has everything to do with the large numbers of children who can't hack the 12 hour days and "work hard, be nice" brainwashing that white liberals prefer so much for the children of the poor. These young washouts, of course, do not figure in to the test score totals, which have the media convinced that these industrial KIPP learning camps are the solution to teaching the future poor how to keep their mouths shut in the global economy. THE GLOBE did a disservice to children of color in its March 10 editorial "The achievement gap wins one," which embraced the proposal for a for-profit SABIS charter school in Brockton. In fact, SABIS may push out more high school-aged students than it graduates. SABIS, which has a wait list of 2,677 students in Springfield, shrinks from 160 students in grade nine to just 73 in grade 10. Is the above-average MCAS performance of this tiny 10th-grade cohort really evidence of SABIS's value? According to a Department of Education report, "significant numbers of students do transfer out of the school at the secondary level because their academic or programmatic needs were not being met." An attrition rate this high should be a mark against the school, not the foundation for praise. SABIS should also be judged at several grades, such as English language arts at grade four, where blacks, Latinos, whites, and students with disabilities at SABIS scored needing improvement and warning status at higher levels than the state average for each subgroup. Only the reduced cohort of students of color in grade 10 outperformed whites in the state in the English test. The Globe editorial board misinformed us by presenting one thin slice of questionable data. Board of Education chairman Paul Reville should be applauded for declining another SABIS charter. The writer is a senior education law and policy associate at the Charles Hamilton Houston Institute for Race and Justice at Harvard Law School. It could be the assessment model for many other states, and it stands for School-based, Teacher-led, Assessment and Reporting System. Now it is threatened by herd mentality and ignorance of the facts. Contact the Nebraska Legislature. District 44 State Sen. Mark Christensen said Thursday morning that LB 1157 -- legislation requiring state tests of Nebraska students' learning and progress -- may not come back onto the floor in the 14 days remaining in the second session tentatively scheduled to convene April 17. LB 1157 may not come back to the floor, not without some adjustments and changes, Christensen told those gathered for his weekly telephone conference at the McCook Area Chamber of Commerce. Sen. Ron Raikes of Lincoln, chairman of the Legislature's Education Committee, is working hard on the passage of LB 1157, said Christensen, who called it a bill "that's been controversial enough." Christensen said he does not believe that Nebraska -- the only state in the nation without a state-wide system of testing students' progress -- is at risk of losing federal education funding by not having a state test system. He said, however, that Texas has been fined for not being in full compliance with federal "No Child Left Behind" legislation. Christensen said he has visited with school officials in his district who are opposed to state testing, who are pleased with the existing STARS (School-based, Teacher-led, Assessment and Reporting System) system in use across Nebraska. Christensen said he is concerned that a state test system will compare districts without considering their innate differences -- number and training levels of teachers, student-teacher ratio, the percentages of single- vs. two-parent families, English-language learners, working parents, migrant families, free and/or reduced lunch qualifiers. "These things affect test scores beyond just how smart kids are," Christensen. "My fear is, with a state-wide test, that School A (will be graded as) bad because they don't test well. Some schools don't test well, but are still doing an excellent job," of teaching students. He said schools and student progress should be determined on issues besides test scores. Christensen asked, who better to educate and test students than their local teachers and administrators. On Monday, March 17, senators adopted an amendment to LB 1157 (see an accompanying story with McCook's curriculum director Gayle Sharkey), and Senator Cap Dierks filed a motion, which is pending, to indefinitely postpone LB 1157. A black male student entering 9th grade in an urban high school has a 50-50 chance of getting a diploma four years later. This fact has been submerged for years in Byzantine attendance tracking systems in most states, and with the pressures of NCLB, schools now have a new perverse incentive to push out additional low fliers who threaten a school's AYP status. I am all for stating the facts as they exist, but now the privatizers want to use the facts to pile up sanctions on the most vulnerable schools, to undercut public support, and to charterize those schools that suffer most under generations of educational debt. Those who are owed the most, then, must continue to pay the debt with their support of cheap charter chain gangs or cheap vouchers paid for with corporate tax breaks. These are the school choices that the econ-anthropists offer in the name of social justice. JACKSON, Miss. — When it comes to high school graduation rates, Mississippi keeps two sets of books. Governors also stepped in, worried that schools were not preparing the work force their states need. In December 2005, all 50 agreed to standardize their graduation rate calculations, basing them on tracking individual students through high school. Fifteen states have begun to use the formula, said Dane Linn, director of the education division at the National Governors Association. And it has produced some stunning revelations. In North Carolina, the rate plummeted a year ago to 68 percent from 95 percent. The News & Observer in Raleigh likened the experience to the shock of hearing a doctor diagnose a terrible illness. “But now doctors can start treatments that can lead to a cure,” the paper said in an editorial. Mississippi is among the states that have become the most serious about confronting their dropout problem, Mr. Linn said. The state has been building a record system capable of tracking student data from year to year, and in 2005 used it to estimate a graduation rate of 61 percent, 24 points below the official rate. Mr. Bounds took office that fall and was initially consumed with the aftermath of Hurricane Katrina. But he eventually had time to pore over the data. “It was time to boldly confront the facts,” he said. The state will eventually report the lower rate to Washington but has set no schedule, Mr. Bounds said. One problem, he said, is that when Mississippi sends revised rates for its more than 200 high schools, their success levels will appear to plummet and many schools could be exposed to sanctions. New York City Parent Revolt? The Bloomberg administration won approval for a new eighth-grade promotion policy last night at a meeting repeatedly interrupted by the chanting and heckling of parents who contend that the policy amounts to blaming students for the failings of the city’s middle schools. The policy requires next year’s eighth graders to pass classes in core subject areas and to score at a basic level on standardized English and math exams to be promoted. The Panel for Educational Policy, which oversees the city schools, approved the policy by a vote of 11 to 1 in its meeting at Tweed Courthouse, the Education Department’s headquarters. Eight of the 13 members on the panel — there is one vacancy — are appointed by Mayor Michael R. Bloomberg, and the five borough presidents appoint one each. From the moment the meeting began, it was punctuated by parents chanting, “Postpone the vote” and “No plan, no vote,” a reference to what they said was the department’s lack of a comprehensive plan for fixing the city’s middle schools. After the vote, the chants grew louder, culminating in shouts of “Shame! Shame!” that were accompanied by wagging fingers. The meeting was adjourned, with other items on the agenda pushed off to next month’s meeting. Parents continued their protests outside the building while Schools Chancellor Joel I. Klein met with reporters to defend the policy. But parents and education advocates, who held a news conference protesting the measure on the steps of the courthouse before the meeting, disagreed. Ken Cohen, the N.A.A.C.P. regional director for New York City, called on the panel to postpone the vote, based on what he said was widespread disapproval of the policy. “Today we are here to see how this body reacts to the voice of the people,” he said. “This is not their government; it is our government. Let the people speak.” . . . . The very fact that this letter begins with addressing either a man or woman in the office of President of the United States is in itself a cause for celebration and a tribute to the historic nature of this year’s presidential contest. For this we all—regardless of political persuasion—should feel more deeply invested in the promise of democracy to include all Americans regardless of race, class, and gender. My letter to you is linked specifically to the question of public education and what I believe are the more pressing issues facing your administration and the nation at large regarding the future of public education in our society. To address these issues I want to speak specifically to the question of what has been called popularly, the racial achievement gap. The “Achievement Gap” has been on the lips of almost every politician, education researcher, education leader, and education policy maker in the nation. The provision of the re-authorization of the Elementary and Secondary Education Act, more conventionally known as No Child Left Behind (NCLB), that profoundly illuminated this achievement gap was the requirement to disaggregate student test score data based on categories like race, special needs, and English language proficiency. We know that African American and Latino students score substantially lower than their White and (some) Asian American counterparts. According to the National Governors’ Association, the achievement gap is, “a matter of race and class. 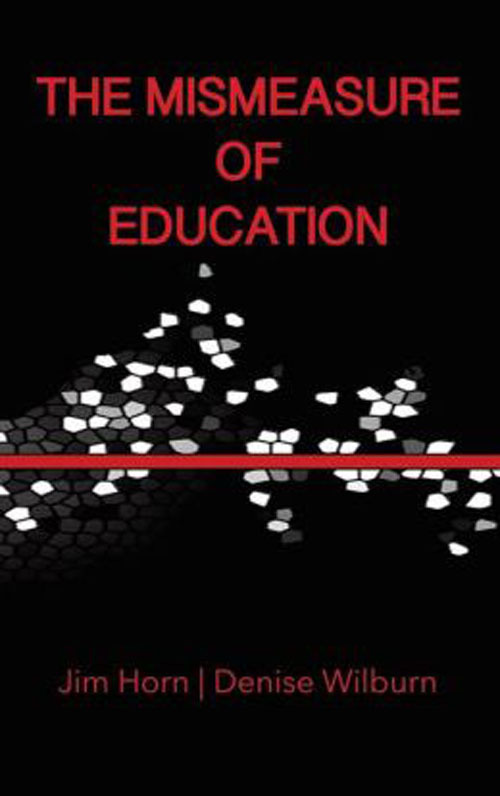 [And], across the U.S., a gap persists between minority and disadvantaged students and their white counterparts.” It further states, “this is one of the most pressing education-policy challenges that states currently face” (http://www.subnet.nga.org/educlear/achievement/ retrieved electronically 10/27/05). We want to erase this achievement gap. Indeed, that sounds like a noble and good goal. However, as a new president with presumably a new vision I want to suggest that it is important to begin re-thinking or re-conceptualizing this notion of the achievement gap. Instead of an achievement gap, I believe we have an education debt (Ladson-Billings, 2006). The debt language totally changes the relationship between students and their schooling. For instance, when we think of what we are combating as an achievement gap, we implicitly place the onus for closing that gap on the students, their families, and their individual teachers and schools. But, the notion of education debt requires us to think about how all of us, as members of a democratic society, are implicated in creating these achievement disparities. . . .
Secretary of Education Margaret Spellings’ plan to allow ten states to pilot “Differentiated Accountability” approaches to comply with federal “No Child Left Behind” mandates is a futile effort to rescue a collapsing law. Though it correctly recognizes that NCLB identifies far too many schools as failing, the proposal is the political equivalent of rearranging deck chairs on the Titanic, not changing its misguided course. It will not slow the ever-growing demand for complete overhaul. At its core, “No Child” is unworkable. It makes impossible demands such as expecting all children to attain proficiency by 2014, relies too heavily on educationally destructive standardized tests which narrow curriculum while encouraging “drill-and-kill” test prep, and imposes counterproductive punishments. Simply imposing a state-by-state patchwork of new rules onto the top-down federal bureaucracy created by “No Child Left Behind” will not lead to improved education for the communities that most need it. Far more fundamental changes, focusing on identifying the real causes of weak academic performance and building schools’ capacity to address them, are required. FairTest initiated the Joint Organizational Statement on NCLB, a set of principles for overhauling the federal law, which has been signed by 143 national education, civil rights, religious, parent, disability, civic and labor groups. FairTest also facilitates the Forum on Educational Assessment, which works to implement the Joint Statement. While we witness BushCo. write a check out of our account for $30 billion to bail out one of the corporate sewers on Wall Street that has operated entirely without accountability of any kind, we see nothing of the sort going on when it comes to funding schools or opportunities for the poor, where children and teachers are blamed for a societal failure. Bear Stearn's execs walk away with tens of millions from their cesspool of corruption, while teachers lose their jobs in reorganization efforts and children are held back to assure their continued failure. In fact, in a state like New Jersey that has actually tried to mitigate a history of segregation and oppression (following Kozol's 1992 exposure of Camden's heartbreaking reality), the cost has been pushed onto the middle class property tax bill. Playing to the resentment among white homeowners, the improvements in school facilities and resources that have resulted from the Abbott decisions are now being attacked by school privatizers and corporate welfare artists as a waste of money. These leeches in New Jersey operate under the name of E3 with grants from the same deep pockets that have built Sam's School of Education Reform at the University of Arkansas, whose Endowed Chair of School Choice, Patrick Wolf, is the lead author of the "scientifically-based" five-year voucher study in Milwaukee. Is Endowed Professor of School Choice a giveaway to the underlying ideology, or what! And who chairs that Department? None other than Jay P. Greene, the longtime edu-propagandist for the Manhattan Institute, who now uses his academic cred to push merit pay, vouchers and charters to replace public education. In New Jersey, E3 wants to rescue poor children from these new schools that are being built for them by offering their parents a school voucher (discounted by $5,000 from the State level of per-pupil spending). These vouchers would be paid for by corporations, whose philanthropy will be rewarded by a dollar for dollar tax credit to send New Jersey's poor children to charter schools that are already receiving tax-deductible dollars from the same corporations. In effect, the State would end up paying to fund schooling for the poor while decreasing State revenues by allowing corporations to avoid their tax responsibilities. Helluva deal. There's only one thing lacking in the Abbott districts — academic quality, said Dan Gaby, executive director of Excellent Education for Everyone. His group, known as E3, favors state financial support of private schools. Gaby served as vice president of the state Board of Education in the 1970s under former Democratic Gov. Brendan T. Byrne. Despite the $30 billion spent on education in the Abbott districts over the last decade, standardized state test scores show little improvement, except in the elementary grades, according to state Department of Education data. In some of the poorest districts, dropout rates remain high. Asbury Park High School's graduation rate was 63.5 percent last year. Camden High School's graduation rate was 49.8 percent. In 2007, the state's average graduation rate was 92.3 percent. "We could spend half the money and get better results. The children are out of time, and the taxpayers are out of money," Gaby said. His group wants to permit corporations to provide scholarships of up to $9,000 per pupil for low-income parents in seven low-income school districts, including Lakewood and Camden. Under bill A-1003, corporations would pay for the scholarships, which low-income parents could use to move their children from what Gaby termed "dangerous schools . . . that have a proven track record of failure" to safer, private schools. Corporations would get a tax break equal to every dollar they contribute, under the bill. The idea is similar to a program in place in Arizona. The fiscal impact of the bill is in dispute. Gaby said New Jersey taxpayers would save money because it would cost less to educate fewer pupils in the public school system if enough urban students attended private or religious schools. But the powerful teachers union, feared by some legislators because of its well-organized, motivated, get-out-the-vote drives, is opposed to the bill. Sending urban children to private schools wouldn't save money, said Steve Wollmer, spokesman for the New Jersey Education Association. He said it would funnel money from public schools to private and religious institutions, resulting in a net loss of $360 million for urban districts over the proposed five-year pilot program. The bill remains in the Assembly Education Committee, awaiting a hearing. Testing industry insider and long time manipulator of public opinion, Jay Mathews, had a piece two pieces last week that give the editors of Washington Post reason enough to pull the plug on this guy. The sad fact is that Mathews has filed an impressive portfolio of editorials masked as news stories at the Post, and since no one at the paper cares enough about education to check out the facts or the rest of the story that Mathews does not report, they continue to let him do what he wants with impunity. One of Mathews' target last week was block scheduling. Now for any story or innovation that Mathews wants to knock down or to promote, there is the ultimate criterion of test scores to consider, which serves as ironclad arbiter for any policy consideration. If there is no evidence, for instance, that whole grain bread for lunch increases test scores, then there is no reason to replace the Bunny Bread. Same with block scheduling: no evidence for increasing test scores, then let's go back to the six, seven, or nine lap race course that leaves students scatter-brained and exhausted at the end of the day. Of course, that is the accepted mode of societal management, is it not? But Einstein Principal James G. Fernandez said he is unconvinced that block scheduling, used in his school for several years, raises student achievement. He suggested that the format might lead some students to drop out because of long classes. So why have so many schools adopted it? "Other than it was the fad, I'm not really sure," he said. He said he switched back to a traditional schedule because it allowed a longer lunchtime for one-on-one work with students and because it might help prevent students from dropping out. "Show me some data that indicates kids perform better" with block scheduling, Fernandez said. It was difficult to schedule Advanced Placement classes in some block systems. In terms of tests, there have been no notable differences on standardized test scores among block compared to non-block. For those schools and teachers that seek to maintain lock-step authoritarian control, however, the block is a challenge. If you think it is hard to lecture teens for 44 minutes, try 88 minutes. Good teachers adapt--authoritarians resent the change, and blame block scheduling for messing up their day (as well as their one year of experience, repeated 20 times). That is why, I am afraid, that there is such a blowback in recent years toward the bad old schedule of the past. Authoritarian regimes breed authoritarian schools. And, then, there's the economics of testing to be protected, and that is where Jay Mathews comes in. Chinese police pour into Lhasa and outlying areas as China scrambles to control the latest uprisings. Sympathy demonstrations are reported around the world. Xiahe, China - The spread of protests from Lhasa, the Tibetan capital, to neighboring communities and now Gansu province represents a crisis for a government eager to project an image of friendly confidence and cultural refinement in advance of the Beijing Olympics. On Saturday, a massive police presence could be seen blanketing Xiahe, a holy city outside Tibet that houses the sprawling Labrang Monastery complex, one of the most revered in Tibetan Buddhism. By early today, the cordon in Xiahe had tightened further as English-speaking police were stopping all vehicles for miles and forcing foreigners to turn around or, if they were on local transportation, to climb down. This followed demonstrations involving an attack on a police station by thousands of people and the raising of a banned national Tibetan flag. Twenty people were arrested in the ensuing violence, the London-based Free Tibet Campaign said, and a local official said seven people were injured, as authorities scrambled to quell the worst protests against Chinese dominion over Tibet in two decades. The crackdown followed efforts by authorities in Lhasa to contain six days of violence. "They are in the process of restoring order, but it is not complete," a Western aid worker living in Lhasa said. The government has reported 10 deaths in Lhasa resulting from the protests, which it blamed on rioters setting fires. The self-proclaimed Tibetan government-in-exile, based in India, said the figure was 30, and other estimates ran higher. Lhasa residents reached by phone said the city was under a near state of emergency with people afraid to go out. . . .
"countless dollars and hours. . . for these pathetic tests"
Next September, teachers like me will face hours of meetings considering mountains of data, derived from rounds of testing that our students -- and we -- must now endure. In the fall, we will no longer have the students whose scores we will analyze, but what else are you going to do with the data, besides publish it in the local papers and wonder why the mathematically challenged gloat with the up-ticks, and feel shamed by the downturns? The confused and erratic sophomores we now attempt to teach have had scripted education since first grade, when whole language reading programs and "fuzzy math" were rejected and all too often replaced with worksheets that were guided by scripts that teachers simply read. Additionally, since the 2001 No Child Left Behind Act, these students have had endless practice rounds for standardized tests. They know how to bubble in answers, but have limited ability to ask questions, and seem so much less interested in understanding their world than the students who preceded them. All school children and youth now carry many burdens: content standards, measurable objectives, rigor, accountability, school-wide pacing, subject breadth [mile wide, inch deep], proficiencies in bunches-of-facts, homework in the primary grades, skills drills and practice tests, fewer high school electives but more math support classes, heavy backpacks and exit exams. These are the fruits of fear. Gone are the days of true engagement and authenticity, when emerging goals included such things as integrated- and systems-learning, concept development and global citizenship. Other things being left behind: field trips, democracy in action, age-appropriate curriculum [everything is hurried], project choices, recess, problem solving, team building, discussion, teachable moments, student-taught lessons, inquiry, discovery, inductive thought, art, music, teachers teaching to their strengths, freedom, or even ... joy. No wonder kids are dropping out in record numbers. The kinds of things that lead to wisdom and ideals are steadily being eradicated, and if the people who should know better don't start standing up, valued public education will, simply, be irrevocably lost. Private school enrollments steadily increase. Kids were prompted to think in the "fuzzy math" days; the math skills were embedded in rich problems [not on drills and work sheets]. Whole language sought to offer children the rewards of rich literature -- public confusion about imaginary battles between phonics and sight-word advocates aside. There is a difference between authentic reform efforts and the so-called reforms that NCLB has wrought [or is it rot?]. Should every high school student really be required to take three years of college preparatory high-school courses in order to graduate [as is required in many local schools]? Or is this just another way to force kids with lower testing abilities to drop out so those who remain will produce higher Academic Performance Indices? When your school administrators and board members keep telling you their main goal is "improving student achievement," that is the first clue they have uncritically accepted fear-based education. The joy of learning and creativity are not measurable. Granted, true graduation rates and satisfaction surveys could give some useful data. But basing "achievement" almost exclusively on standardized test scores is astonishingly nearsighted. Honestly, I have seen hundreds of standardized test questions, and educated people would be appalled by their quality. That the testing companies regularly rack up errors in scoring is also a little known facet of the industry that is taking hundreds of millions of dollars away from U.S. classrooms. The High School Exit Exam [HSEE] has just been given to all of California's 10th-graders [March 11 and 12]. Most of our students will "pass." The ones who do not pass are likely to have a different first language, have testing anxiety, or have a learning disability. Sure, they have more chances to pass, but anxiety cranks up with each "try." Each year there will still be thousands of great kids in California who will not receive a diploma and will not walk at graduation. Sadly, these are the students who will be most devastated by the missed opportunity. Then in April, all students from second through 11th grades take another enormous battery of California Standards Tests [CSTs]. The dollars and hours thrown at this enterprise is insane, especially given that 20 percent of the school year remains, yet students are evaluated on how they did for yearlong course standards. My college-age daughters were not subject to the HSEE and I opted them out of the CSTs. They tell me that were they still in high school they would not take the HSEE as a form of civil disobedience, even if it meant they could not walk at graduation. They say they wouldn't want to shake the hands of adults with hardened hearts who did nothing to prevent this test from devastating the lives of our most vulnerable students. While I love the idea that students would seek justice by protesting the HSEE, it is the appropriate role of adults to protect children from poor policy decisions by standing up and unconditionally loving children, not only their own, but all children. Tax dollars are precious; they should not be used to make profits for test companies. Nor can we afford the countless hours and dollars devoted to prepare for and administer these pathetic tests. Claudia Ayers is a teacher at Aptos High School. Microsoft Chairman Bill Gates paid a visit to Capitol Hill yesterday with a familiar wish list: more money for math and science education, more funds for research and more visas for skilled foreign workers. In his last scheduled testimony to Congress before he retires, Gates said those provisions are necessary for the United States to maintain a competitive edge in technology innovation. He said some of the most talented graduates in math, science and engineering are temporary residents and cannot get the visas they need to take jobs with U.S. companies. "U.S. innovation has always been based in part on foreign-born scientists and researchers," Gates told the House Committee on Science and Technology. "The fact that [other countries'] smartest people have wanted to come here has been a huge advantage to us, and in a sense, we're kind of throwing that away." The committee held the hearing to mark its 50th anniversary; it was founded after the Soviet Union's Sputnik satellite was launched in 1957. Most members of the panel congratulated Gates on his achievements at Microsoft, which he founded in 1975 after dropping out of Harvard, as well as the contributions his philanthropic foundation, the Bill and Melinda Gates Foundation, has made to educational causes. Gates, 52, smiled throughout the two-hour hearing, sipping from a can of Diet Coke and occasionally jotting notes with a pencil. He tapped his feet underneath the table as he talked, sometimes in sync with the rhythm of his voice. When asked about taxes, Gates jokingly pointed out that he has written checks to the federal government for billions of dollars. "I don't begrudge it at all," he said. "I'm glad you're all working hard to see it's well spent." Much of the discussion surrounded Gates's call to raise the annual maximum of 65,000 H-1B visas, which allow employers to hire foreigners with specific skills. Last year, Gates said, Microsoft was not able to get visas for about one-third of the foreign-born people it wanted to hire. . . . Supporters of public schools really need to keep an eye on the Texas Legislature and surreptitious efforts to undermine school funding by shifting dollars to private and church-run schools through school vouchers. Vouchers represent direct cuts in school funding. Though money “follows the student” to a private or church school, meaning one less student to educate, public schools’ costs like heating, cooling and more stay fixed. A coterie of schemers supported by campaign bank-roller James Leininger constantly tries to find ways to get a foot in the door in Texas for school vouchers. Proponents often press for “pilot” programs aimed at big-city urban school districts where the challenges presented by poverty and lack of parental involvement are most pronounced. They blame public schools for lack of achievement and downplay the parental role. A recent study of 1,000 low-income 12th-graders by the non-partisan Center on Education Policy found that when comparing apples to apples — comparing students whose parents were comparably involved in their education — public schools performed better than private schools. That’s not what the voucher lobby wants you to believe. Another thing it doesn’t want people to understand is that even when offered vouchers, most parents stick with their public schools. Fortunately, State Rep. Rob Eissler, chairman of the House Public Education Committee, made an impromptu appearance to tell the advisory group that vouchers were not germane to the committee’s mission under the language of the bill that created it. The council backed off. Without question, the council has an important mission: Advise on how public schools can better prepare students for higher education and to see how standards of both can intertwine. It is clear that teaching focused strictly on passing state standardized tests doesn’t do the trick. College-bound students need to shoot higher or vast numbers will need remedial classes, as too many do today. And these days every student needs continuing education to thrive in the changing marketplace. As with the whole of public education policy, there’s enough to examine and improve without sidetracking discussion to the tendentious and dubious idea of siphoning dollars from public schools to private ones with vouchers. Stick to the agenda, please, and leave Mr. Leininger’s agenda out of it. After 10 years of teaching the poor to recognize and accept their failure and the rightful control by others that their failure demands, Florida's corporate politicians have no doubt succeeded in padding their future supply of minimum wage workers to care for the retiring baby boomers moving South. The dropout rate is booming! 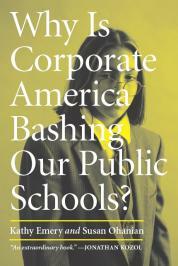 At the same time, corporate allies in Washington have used NCLB to undercut support of public education and to seed charter schools and vouchers and the cheap alternatives for these stubbornly defective children and lazy teachers who just won't help their schools make AYP. The Washington allies even put in place a phony teacher credentialing outfit to supply "teachers" in these cheap chain gangs for the poor. And Florida's corporate community stands ready to assist with big-hearted contributions that will earn dollar for dollar tax credits. Sweet! We're in the eye of the testing storm. The squall began last week with the latest round of the FCATs. And for many, students will continue through this week with more FCAT testing and then a national test called the Norms Reference Test. So, here we are today, smack in the middle of uncertainty and anxiety. This is what education has become in Florida. So many of us manipulated by an FCAT test that almost everyone agrees is faulty: Supporters say it probably needs revising, critics say it needs scrapping. And yet, this peculiar beast is entwined in the lives of thousands of children and families — most of the quarter-million kids and families who attend Broward public schools, and the 175,000 in Palm Beach County. That's a lot of canceled baseball practices. Chores set aside. Bedtimes moved back. If it was only those impositions and inconveniences, I might be a fan of the test. But the FCAT also negatively affects teachers' livelihoods and kids' education. Although Broward's school board voted to de-emphasize the test, Palm Beach County took a different tack. It was all-FCAT-all-the-time. The test even threatens successful educators and entire schools. "We're definitely under the gun," said Rebecca Dahl, the principal at my son's middle school. "The kids know it. The teachers know it." The National Center for Public Policy and Higher Education gave Florida a C for "learning" in its 2006 national report card. "Florida's underperformance in educating its young population could limit the state's access to a competitive workforce and weaken its economy over time," the 2006 report said. "Since the early 1990s, Florida has seen a double-digit drop in the proportion of ninth graders graduating from high school, and the state now ranks among the lowest in the country on this measure. Of those who do graduate, relatively few go on to college." After a decade of paying with our state treasury, with our kids' psyches and teachers' sanity, is this what we hoped to hear? That's the very first FCAT question that needs an answer. School Choice or Schools Cheap? Lisa Graham Keegan as the New Margaret Spellings? Exterminating Public Schools . . .